When it comes to curl care, butters can help you get soft, shiny and manageable curls. Butters are loaded with healthful ingredients such as fatty acids, which help nourish curls. 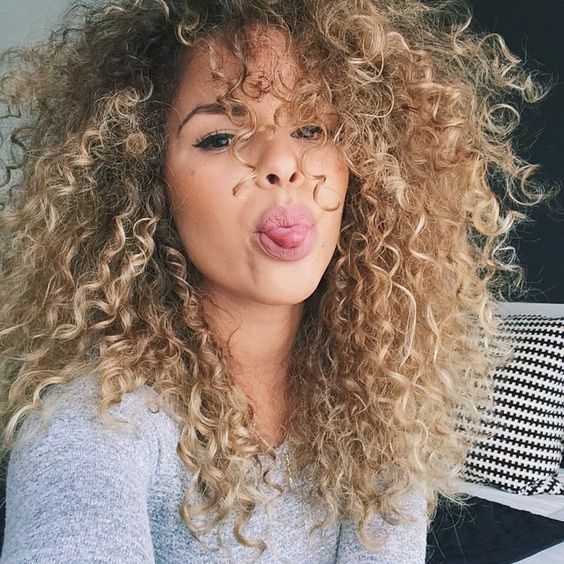 There a few natural butters that we recommend to help you get your best curls. Have any of you tried these? If so, let us know in the comments! Shea butter: This butter liquifies when it reaches body temperature, making it easy to apply to curls and skin. Shea butter comes from the shea-karite tree, which can be found in West and East Africa. It is chock full of palmitic, oleic, linoleic, and stearic acids, making it an ideal moisturizers as well as a great emulsifier. Tacuma butter: This butter comes from the seeds or fruits of the Astrocaryum tucuma palm tree. If your curls tend to be highly porous, this butter can help your parched curls retain the moisture they desperately need. The high levels of lauric, oleic, and myristic acids, which add elasticity, hydration and fight moisture loss. Mango butter: This butter is created from the seeds of mangos, which are found in rainforests across the world. It's loaded with Vitamins A and C, which work to combat damage causing free radicals. If you're allergic to nut butters like shea, this is a fantastic alternative. If your curls need a lot of repair and protection from UV rays, this is a great option for you. Kokum butter: This butter is derived from the fruit and kernel of garcinia indica, which can be found growing in the savanna areas of the Indian subcontinent. This fruit helps by oxygenating cells, which makes nutrients available for scalp and skin tissues. The acids stimulate and soothes inflamed scalps and skin. Coco butter: This butter is loved not only for its benefits to skin care but also because it's awesome for hair. It's loaded with Vitamin E, as well as moisturizing minerals and vitamins. This butter doesn't clog pores, and works well to help moisturize scalps. Murumuru butter: This luscious butter comes from the fruits of the Astrocaryum murumuru tree, which is native to Brazil and other parts of the Amazon. If your curls are damaged, this butter works to help restore and repair with the oleic acid, which helps add softness to distressed hair. This product works well for defining curls. Ucuuba butter: This is a natural cold butter which is pressed from the seeds of the ucuuba trees. It's known for having amazing anti inflammatory results and antiseptic properties which can work to alleviate scalp conditions. In addition to being amazing for your scalp, we love this because it helps preventing breakage.